The other Side of Himachal - GovindSagar and Baba BalakNath Temple - Ghumakkar - Inspiring travel experiences. Our family has a tradition of visiting Baba Balaknath Shrine in Himachal every year. Usually we drive down to the temple during the summer months. But last year we took Himachal Express to Una after monsoon. And it turned out to be the best way to do these annual trips. When we deboarded the train at Una, the quaint little railway station won my heart immediately. It was such a pleasant change from the crowded railway stations of Delhi. A cab was to pick us up from the railway station and we had to wait for a bit there. We were initially reluctant to go inside the waiting room but eventually we had to as the constant drizzle was turning into proper rain. The waiting room was a surprize too. Totally devoid of any stench, it was comfortable and airy. The cab arrived in about half-an-hour and we set out to Baba Balaknath’s Temple. More than the temple itself, the scenic drive on the beautiful mountain roads excites me. After monsoon, the fields are full of corn crops and you can see ripe Bhutta’s ready to be plucked everywhere. All khuds (small rivulets) are full of water and the untouched beauty of the Govind Sagar water reservoir is at its peak. We always stop at a point from where we get a good view of the water body. The lush green plains at the banks of Govind Sagar make you want to throw away your shoes and run wild across the fields. Be on a look out for Govind Sagar at your right while driving towards the temple. Don’t miss it because if you see it once, you will cherish the memory forever. It takes about 1.5 hours to reach Shahtalai from Una. Shahtalai is a significant town for people who worship Baba Balaknath. Baba Balaknath is supposed to have performed a long Tapasya here while taking care of Mata Ratno’s cattle. Some very interesting folklores are popular about this. After some years he is said to have left Shahtalai and taken Samadhi inside a cave some distance up from Shahtalai. 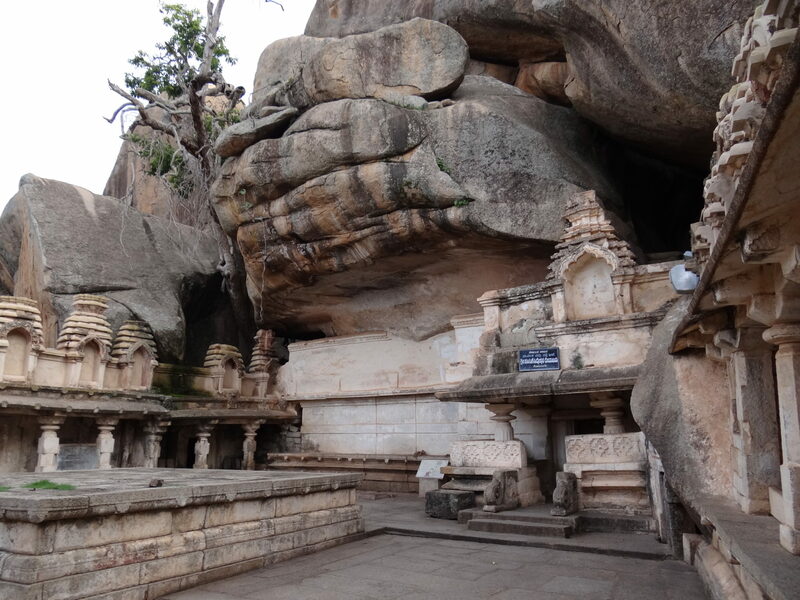 The main Temple of Baba Balaknath is built outside this cave and is known as Deotsidh. People start their trek from Shahtalai and walk 10 kilometers to reach Deotsidh. You can also hire a jeep to reach there. After that a flight of stairs with shops on either side takes you to the gate of the temple. From here female devotees form a separate line as they are not allowed near the cave. (I will reserve my comments about this :-)) The view from the highest point in the temple is amazing as you can look across several hills and water bodies between these hills are also clearly visible. After the visit to the temple, we drove to Amb and stayed overnight at a relative’s place and next day, took the Himachal Express back to Delhi. The unforgettable trip took all of three nights and two days. A word of caution: If you go to the temple, don’t forget to cover the Prasad properly as the place boasts of a large population of monkeys. And just like monkeys everywhere else, these monkeys also specialize in snatching polybags and Tokri’s of prasad. This is really a good place surrounded by green forests & a beautiful view of Govind Sagar. Someone can cover this place during return journey from Manali-to-Delhi. But route will be Manali->Mandi->Ner Chowk->Jahu->Bhota->Deotsidh…. & then one can catch the main route through ->Una-> Nangal ->Kiratpur… This route will take approx 5 Hrs extra including 2.5 Hrs spent at Deotsidh. Vibha has described the place beautifully…. A nice post. The second photograph is specially very beautiful. BTW what is in the middle on which so many trees are growing. A small island or a submerged hut. It was a cluster of trees on the top of a small hill. After monsoon, the hill is almost submerged making it look like a small island. :-) It was the most amazing sight. Hi Vibha, this is a nice place I think bt if you give me a chance I will show you the most beautiful and divine places of Himalaya from Uttarakhand so any time for any travel assitance in Uttarakhand pl. feel free to mail at thejungleguide@gmail.com or calol me at 09997307389 or 09837092025…pl. mail a rply.bye. And yes I will definitely call you whenever I plan a trip to Uttarakhand. May Baba Balaknath Ji fulfill all of your desires. You have written so well, congratulations. It inspires me to visit this place now. Just two years ago I passed this road (while returning from Rewalsar to Una) and saw a horde of monkeys in the forest, waiting for people in passing cars that offer them stuff to eat.Amazing how an entire family of nearly hundred monkeys or more, lives together in a forest, surviving on food they get fro passing travellers. Thank you for the post. I am planning to travel to this place soon. Excellent coverage. May all your dreams be fulfilled. Very good writing, next time try to visit Shiv Mandir Bachrettu. Which is few kms from Shahtalai. Most of the forts you visited were predictable. But this fort has a surprise waiting at every gateway corner and beyond every wall. It is like being rewarded for your huffing and puffing at every level of this Wii game. You feel like a child bounding up every which way. There are water storage tanks with elaborate planning for rain harvesting, granaries, oil pits, natural sources of clean cold water and temples.